Bliss dances on The Great Lawn, near 9th and Avenue of the Palms on Treasure Island. This colossal sculpture by Marco Cochrane stands 40 feet tall and is lighted at night. 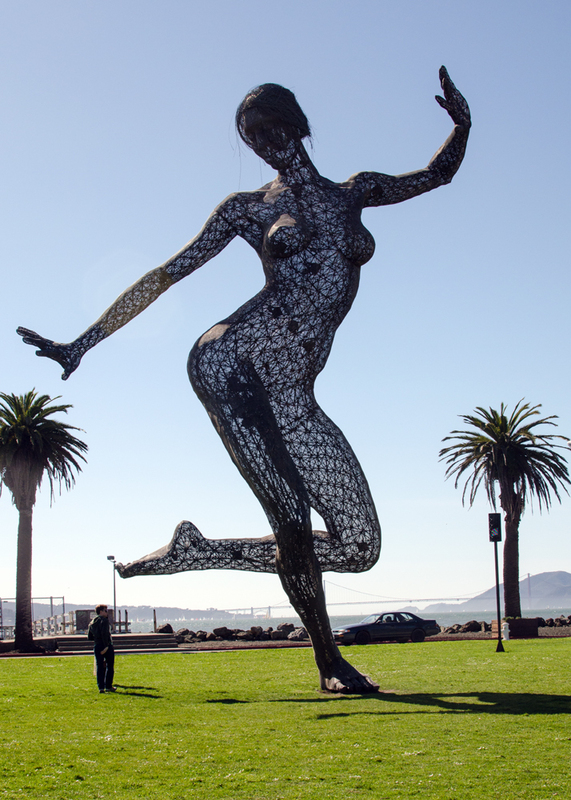 The sculpture was built for the Burning Man Festival and then installed on Treasure Island in 2011. In 2013 a weatherproofing project was started and the lighting was upgraded. The sculpture is lighted at 8:30 each night. You cannot fail to express beauty, profound beauty. Is as beautiful as any thing could be. Sometime when you’re crossing the new Bay Bridge on your way to or from SF take a little detour to Yerba Buena Island and follow the road through the gates of Treasure Island and along the Avenue of the Palms—you can’t miss the statue; it’s 40 feet tall. 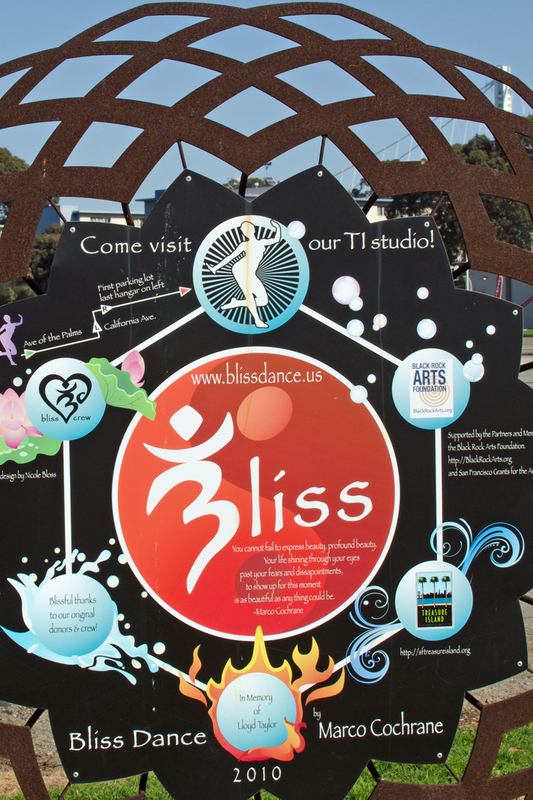 This entry was posted in Public Art, San Francisco, Travel Blog and tagged Bliss Dance, blogging101, Marco Cochrane, Photography, Treasure Island by carto. Bookmark the permalink. On a clear day the SF skyline is visible as is the Golden Gate bridge. Thanks for the comment.